There's nothing wrong, per se, with a few lite beers or a box of wine at your holiday season gathering, economic times being what they are. But if you're planning a party that your friends and family will remember, a memorable cocktail is the way to go—faith permitting, of course. This year, we went to some of the booze brands that we know and love for their resident mixologists cocktail suggestions. They tend to be a bit free with the info after their lunchtime tipple. The result, we've compiled a list of cocktail suggestions and (easy to moderately involved) recipes for cocktails aimed at lovers of whiskey, vodka, rum and that holiday spirit Bailey's Irish Creme. A couple of these should spike up your party and see you through New Year's. One would hope, anyway. Method: Combine ingredients in rocks glass, neat or on the rocks. Garnish with fresh lemon. Method: Combine in a shaker and shake well. Serve over ice in a highball glass. Method: Build over ice in highball glass. Garnish with lemon or orange wedge. Method: In a preheated coffee mug, muddle the clove, cherry and orange. Pour in Red Stag by Jim Beam. Top with steaming hot water. Method: In old fashioned glass, place sugar and bitters dissolved in water. Fill with ice. Pour Jim Beam; add cherry, orange slice and lemon wedge. Method: Pour Hibiki and Mandarine Napoleoninto a mixing glass. Add vanilla pod and zest from the Mandarin orange. Strain over ice into a whisky glass. Garnish with a curled tangerine peel. Method: Pour all ingredients into a mixing glass. Stir 30 times with lemon peel. Strain into a martini glass. Garnish with curled grapefruit peel. Method: Pour ingredients over ice into a mixing glass. Stir 30 times. Strain into a chilled martini glass. Garnish with a curled orange peel. The remaining two cocktails celebrate the winter months of the traditional 24-season Japanese year. Method: Stir all ingredients with the green tea. Strain into a warm balloon glass. Place tea flower in an old-fashioned glass topped with hot water. Place balloon glass on top of warm old-fashioned glass and serve. Method: Stir half of the whisky and all other ingredients into a wide-toped glass and flame for 15 seconds. Warm the rest of the Yamazaki in a balloon glass. Pour flaming mix into the balloon glass for 5 seconds and extinguish by placing a napkin over the glass. Method: Combine ingredients into a cocktail shaker over ice and shake. Strain and pour into a cocktail glass dusted with cinnamon. Method: Muddle mint, lime juice and sugar in tall glass. Add remaining ingredients to the glass with ice and stir. Method: Fill a cocktail shaker with ice. Add Ketel One Vodka, Cranberry Juice, Fresh Lime Juice and Orange Bitters and shake vigorously. Strain into a highball glass filled with ice and top with ginger beer. Method: Steep 1 Numi Chocolate Pu-erh tea bag at normal strength with freshly boiled water for 3 minutes, then remove bag. Add Vodka and stir. Whip cream with a little sugar and float on top. Dust with Powdered Cocoa to garnish. Method: Pour Moon Mountain, sweet vermouth, Zwack and 5 dashes bitters into rocks glass over ice. Stir gently. Garnish with lime. Method: Combine all ingredients (excluding rum and vodka) into a hot drinking cup or mug. 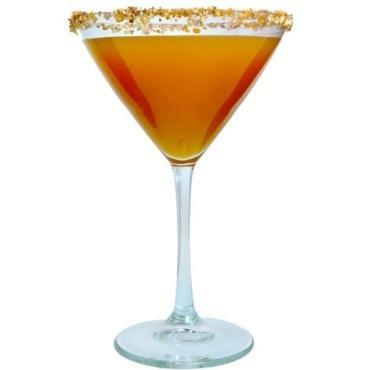 Mix together with a spoon then add Ron Abuelo Añejo and Van Gogh Dutch Caramel Vodka. Pour in hot water (1 cup or more to personal taste) and stir vigorously until the mixture has dissolved. Garnish with cinnamon stick. Method: Combine Zacapa, fresh lemon juice, simple syrup and apple cider vinegar into cocktail shaker with ice. Shake well. Strain into coupe glass. Top with sparkling wine and atomized spritz of Allspice. Method: Shake all ingredients with ice and pour into hurricane glass. Garnish with pineapple wedge and dusting of fresh ground nutmeg. Method: Layer in order in tall shot or pony glass. Garnish with cherry on top. Method: Muddle raspberry with the mint. Add the rest of the ingredients. Shake hard and strain into a highball glass and top with ginger ale. Garnish with raspberry and mint. Method: Dry shake to make heavy froth. Add ice. Shake again. Pour over fresh ice. Grate fresh nutmeg on top for garnish. Method: Heat Cider until very hot. Steep 1 Tea Bag directly in Cider for 5 minutes, covered. Uncover, add Rum and stir. Garnish with Cinnamon Stick. Method: Crush candy cane with the back of a spoon. Combine hot chocolate and Baileys by pouring into a coffee mug. Top with a dollop of whipped cream and sprinkle crushed candy cane on top. Garnish with mint leaf. Method: Mix coffee and sugar syrup together and set aside. In highball glass, layer 2 mint sprigs on bottom, then top with crushed ice. Add Bailey's, Bulleit and simple syrup. Swizzle together, leaving mint sprigs at bottom of glass. Float coffee on top and garnish with final mint sprig.